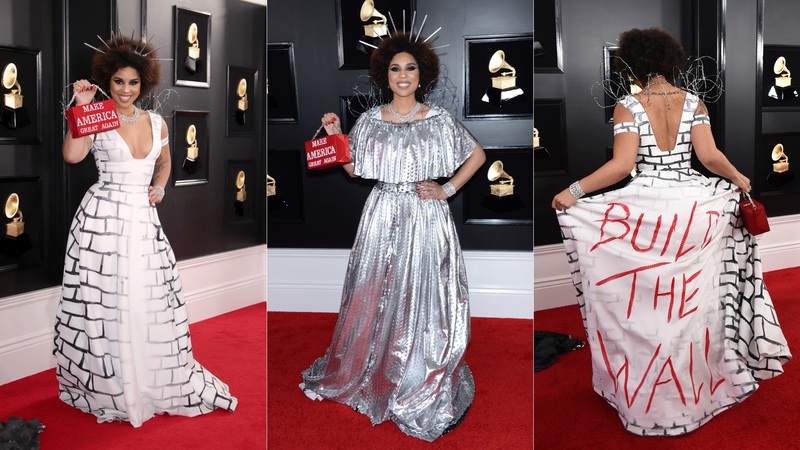 LOS ANGELES (Variety) – MAGA is having a small fashion moment at the 2019 Grammys. 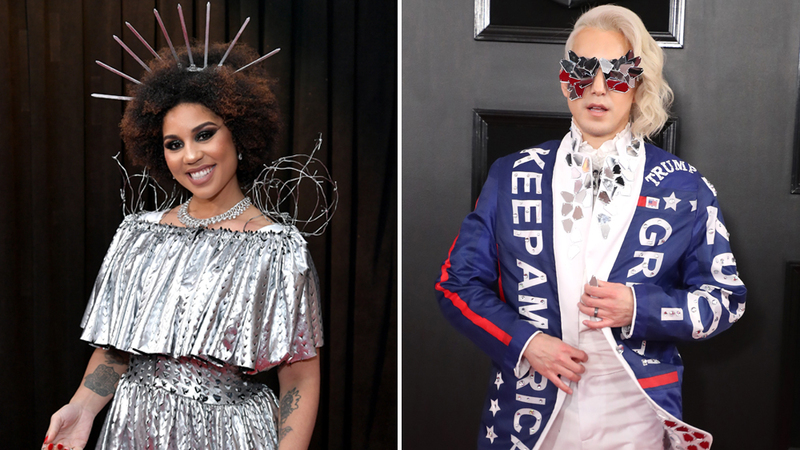 Singers and Ricky Rebel both used the red carpet to spread their pro-Trump messages. Created by Desi Designs Couture, it’s worth noting that the designer’s Instagram announcement includes this disclaimer along with a picture of her client Villa.”DISCLAIMER: The views, thoughts, and opinions expressed by my clients are not necessarily the same as my views, thoughts, and opinions,” the designer wrote. Villa now has a history of wearing conservative couture on the red carpet. 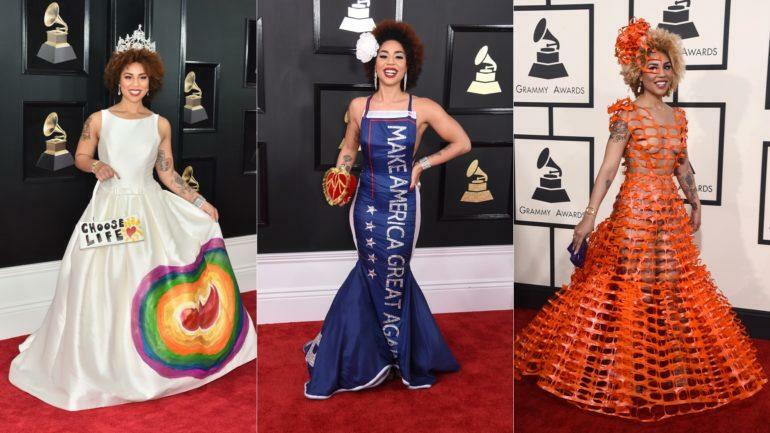 Last year, the singer donned a rainbow-colored anti-abortion dress , and in 2017 she wore a blue “Make America Great Again” gown that featured Donald Trump’s name embellished along the back. In 2015, she again created a stir when she sported a sheer dress of orange netting .